We are very proud to introduce this magnificent Buckingham 2 Door Combination Wardrobe. 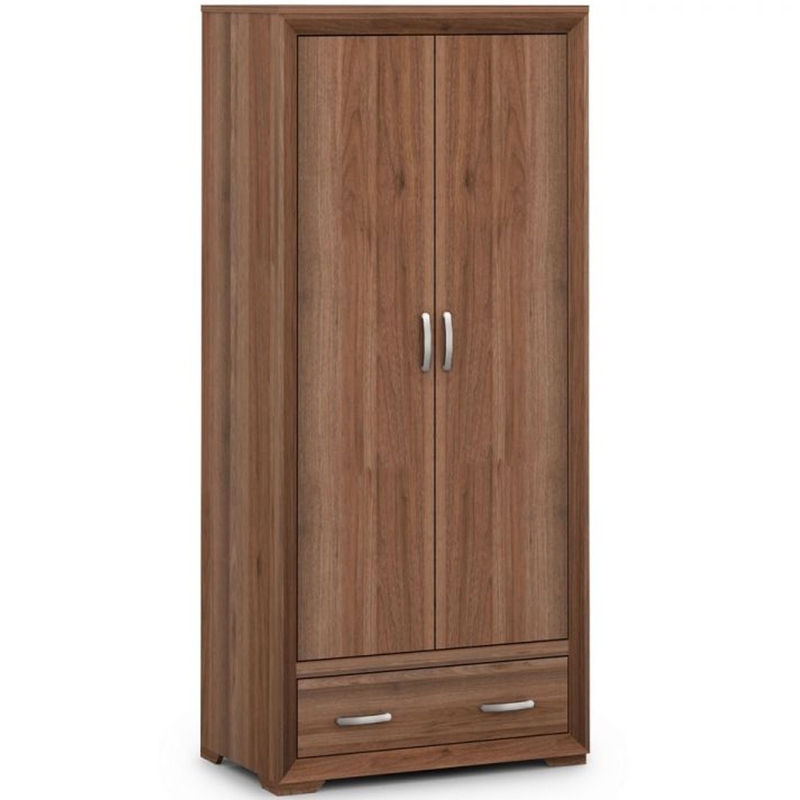 This wardrobe features a very traditional design, given a modern twist. The smooth and sleek bevelling on this piece really makes it stand out, whilst the coated particleboard material and walnut finish add a warming and welcoming style.